Want to craft something for the kids this holiday season that they’re sure to enjoy? 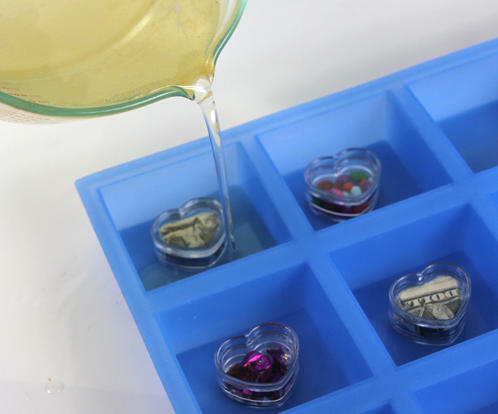 Try your hand at making these DIY Homemade Secret Money Melt & Pour Soaps with a tutorial from the Soap Queen Tumblr blog and author of Soap Crafting, Anne-Marie Faiola. 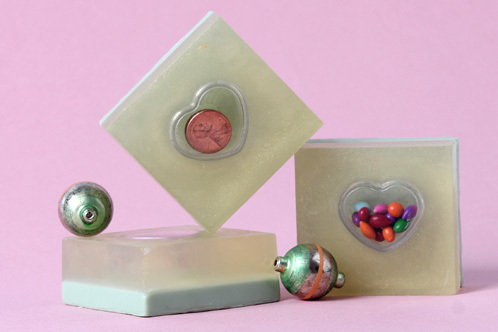 This melt & pour soap tutorial gives you a cute way to “hide” treasures inside soaps that can only be “found” by using the soap making bath time more fun than ever. Include any small toys, coins, folded dollar bills or candies inside then wrap your finished soaps and tuck inside your child’s Christmas stocking for some of the sweetest little handmade stocking stuffer gifts ever! 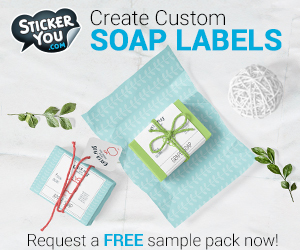 You can find the tutorial for this homemade soapmaking project here. For more handmade DIY stocking stuffer gift ideas, be sure to follow my DIY Stocking Stuffer Sized Christmas Gifts board on Pinterest. Or follow my DIY Bath & Body board on Pinterest for endless tutorials on making handmade soaps and other bath and beauty products for everyone on your list this holiday season! The money and trinkets look like fun, but candy? Yuck! What a great idea! I’m actually doing a garden party theme for my daughter how awesome to send the kids home with soap containing something once they’ve been digging 🙂 pinned!